After a mystical start to his set Buju Banton went on to running the show like we all expected. In what was his first performance in 10 years here in Jamaica, fans were in awe throughout the set. “Have mercy on me oh lamb of god” Buju Chants in his opening song. 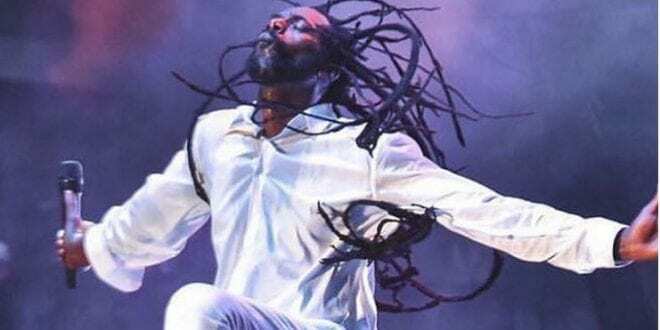 “Be strong wul a firm meditation, one day things must get better” By the time Buju got to it’s not an easy road song everyone in the National stadium was singing and dancing. “i cant imagine another reggae artiste who could full the stadium” says another Buju Fan after the show. Watch as legendary Reggae artistes Buju Banton and BERES HAMMOND performs together.